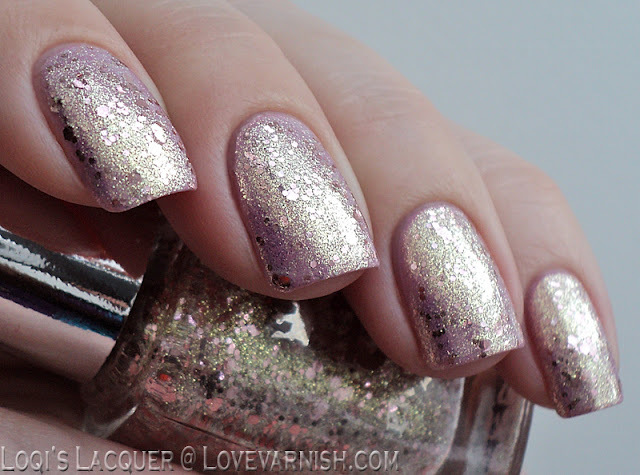 This week I would like to show you one of my new A-england pretties: She walks in beauty. 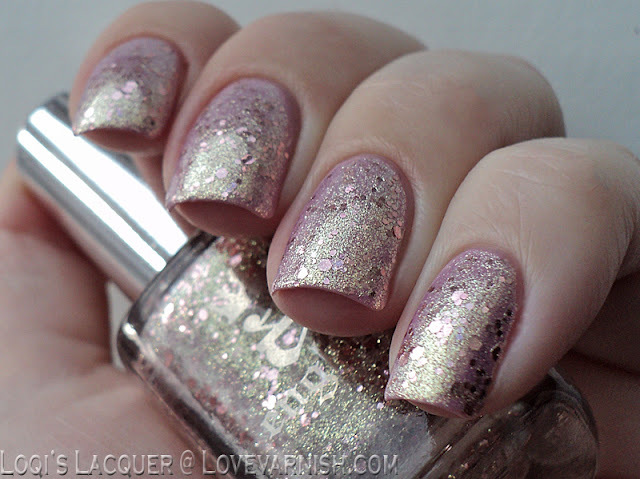 She walks in beauty is one of the latest polishes from A-england and consists of a pretty, iridescent, gold shimmer base filled with large and small pale pink hex glitter. 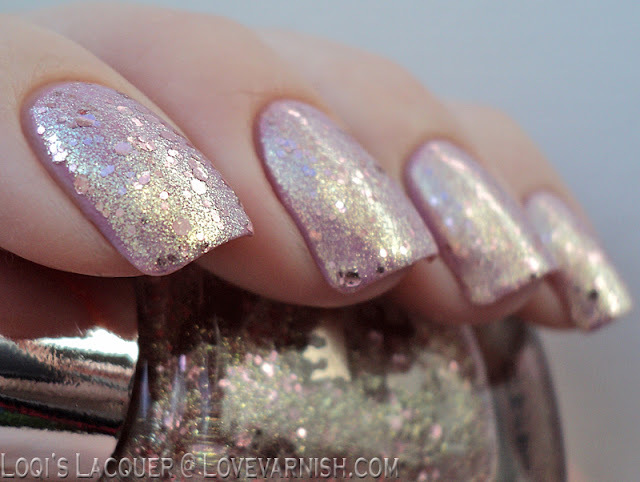 I really really love this polish. 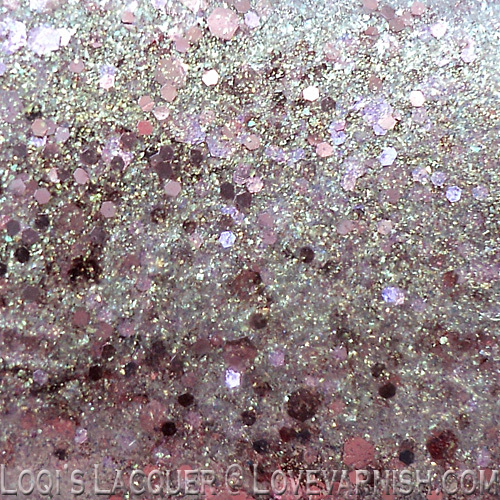 The gold base is so pretty and glowy, I don't quite know how to describe it, it almost looks liquid to me. And the pink really makes for a nice contrast with the gold. If you want to, you can wear this polish on its on (it's quite opaque at 3 coats), but for this manicure I layered 2 coats of She walks in beauty over P2 heartbeat, a pale pink. This is really pretty, I love the combination of beige and pink. Great swatches! Oh my, this is so pretty! I'm still waiting for mine to arrive, I just almost can't wait anymore! Stunning, i can't wait to get this baby! Hello, constantly i used to check website posts here early in the daylight, as i like to learn more and more. Looks gorgeous on you Loqi! I need this one! Thank you! Combining it with beige is a good idea, I'll try that sometime! This is so so pretty! Wish I had bought it during her sale. I desperately hope she'll be able to continue shipping internationally. 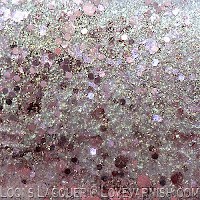 This is such a gorgeous glitter!! Love how you paired it!